ii) 12th Pass (Regular Study) with 50% mark. Only those candidates who are fulfilling the eligible criteria will be allowed to appear in the written test. Candidates have to appear for the written test / physical measurement/ driving test/ endurance test/interview to the above post at their own expenses. SC/ST candidates called for interview will be paid 2 nd class rail fare as per rules. The candidates will have to appear for written test, physical measurement, driving test, endurance test, and interview. The candidates will be allowed to appear in driving test / physical endurance test subject to passing the written test. Appointment to the post of Junior Assistant (FS) is subject to fulfilling eligibility conditions and successful passing of Basic Training Course for a period of four months. During training, incumbent is entitled for stipend as per the rules. 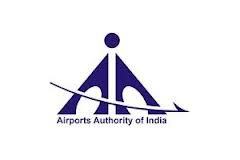 Candidates fulfilling the above conditions may submit their application on plain paper (along with attestedcopy of relevant certificates) in Hindi / English in the following format addressed to THE REGIONAL EXECUTIVE DIRECTOR, Airports Authority of India, Southern Region, Chennai – 600 027 ( the envelope should be super-scripted by “Application for the post of Junior Assistant (Fire Service) ) along with a DemandDraft for Rs.100/- (Rupees One Hundred only) [non-refundable] drawn in favour of Airports Authority ofIndia, payable at Chennai so as to reach on or before 30/05/2013.